NOTE: Apex Legends PS4 base game required. 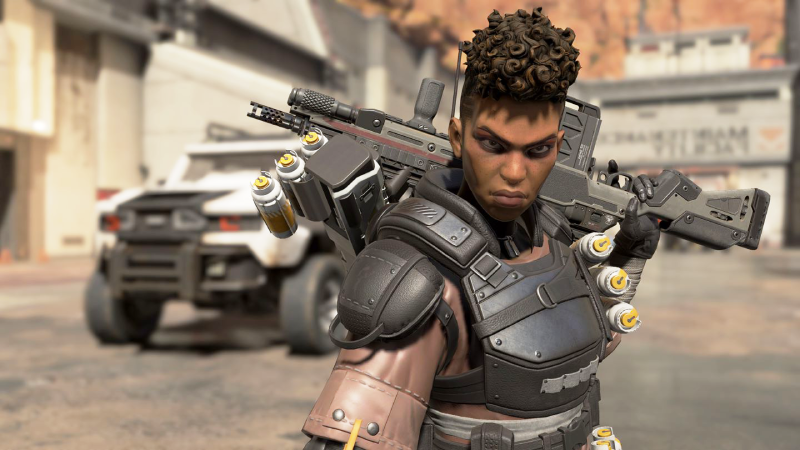 Apex Coins are used as currency in the Apex Legends in-game shop. To get the best cosmetic items in the hottest new battle royale game you're going to need Apex Coins. Buy the exact items you want most or stock up on Apex Packs to unlock more skins! What's included with the Apex Coins? 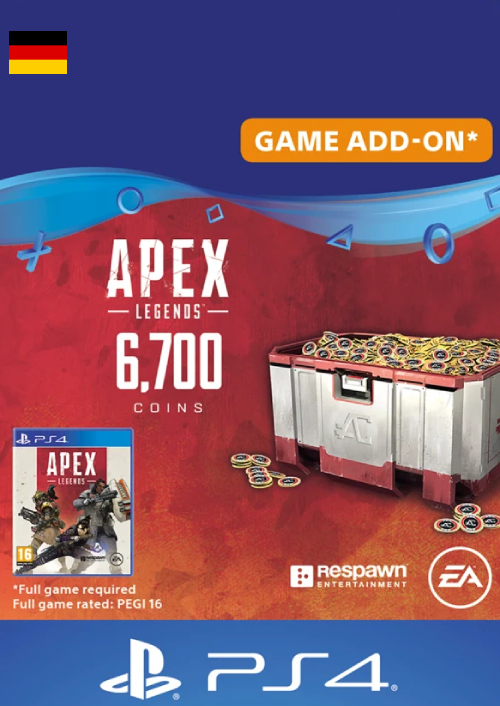 Includes 6,700 Apex Coins useable in the Apex Legends in-game store. Is there any region lock for the Apex Coins? 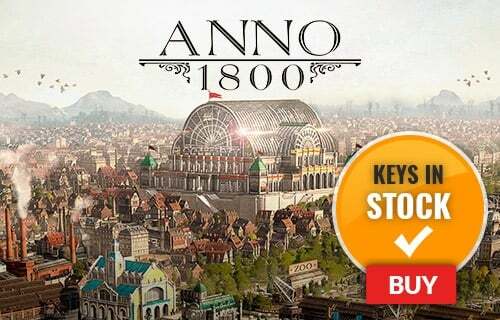 Yes; this product is only available in Germany. How will I receive my instant download of Apex Coins? How do I activate the key for my Apex Coins? Get the cosmetic items you want right now with Apex Coins. From the Plague Doctor Skin to the awesome looking Wraith Knife, there are so many character and weapon skins to show off in Apex Legends. With Apex Coins, you can buy the exact loot you want or stock up on Apex Packs. All Apex Packs are guaranteed to give you items you don't already own - every time. You're also promised at least one Legendary item in every 30 packs! Show off your skills in Apex Legends with the latest and rarest skins - you can even buy new characters like Mirage and Caustic with Apex Coins! Want to get Apex Coins for free? What are the system requirements for Apex Coins?